Norfolk, Virginia, USA – January 1, 2015. Mark B. Shaw – formerly President of GM Engineering Services, LLC and now President of Netarus, LLC – announced a company name change reflecting the rapid growth and technological diversity of the company’s brands. “Netarus, LLC represents our management structure for the manufacture and distribution of our situational awareness products,” he stated. 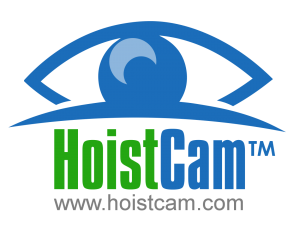 HoistCam™ (www.hoistcam.com) and TugCam™ (www.tugcam.com) brands bring much needed safety and productivity benefits to the construction, industrial, marine, and transportation industries. The rugged, wireless, and portable camera solutions are unique products that allow the user to quickly install or relocate systems. Shaw explained, “With the advent of our HoistCam Director software, a management solution to monitor job sites worldwide, we have recruited Lewis Crenshaw to lead in new product design and manufacturing.” Mr. Crenshaw has led the design, development and manufacturing of multiple cutting edge wireless products in the maritime and satellite communication industries. In addition, his experience in managing field installations and quality management systems will help to unify the operations of our internal and field-based technical teams. “Over the next several months, we will be making several new and exciting announcements as technology continues to advance and improvements are made to our entire product line,” says Mr. Crenshaw. Netarus, LLC is passionate about innovation and technology. Since 2002, the founders of Netarus have been developing the latest wireless, video and sensor technology and introducing it to the marine, industrial, transportation, and construction spaces to improve safety and productivity. Netarus specializes in designing situational awareness platforms for industrial facilities and cranes to heavy equipment and tug boats. Netarus engineers and manufactures each situational awareness platforms for some of the most demanding environments and locations. Servicing the community for over a decade, Netarus continues to provide innovative solutions for the Internet-Of-Things and Big Data with significant experience in engineering, manufacturing and integrating platforms for commercial, industrial and government organizations. For more information about Netarus, please visit https://www.netarus.com/about.